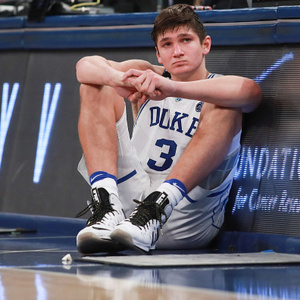 How much is Grayson Allen Worth? Grayson Allen net worth and salary: Grayson Allen is an American professional basketball player who has a net worth of $2 million. Grayson Allen was born in Jacksonville, Florida in October 1995. He is a 6'5″ shooting guard who played at Prudence School in high school where he was a McDonald's All-American and won the McDonald's All-American Slam Dunk Contest. Allen played his college basketball at Duke where he won the NCAA championship in 2015. He was a first-team All-ACC selection in 2016 as well as a second-team All-American (SN) and a third-team All-American (AP, NABC). Grayson Allen was drafted #21 overall by the Utah Jazz in the 2018 NBA Draft. During his career at Duke he averaged 14.1 points a game as well as 3.2 rebounds a game and 3.0 assists per game. He was involved in a series of tripping incidents and some people branded him as being a dirty player.